Hello members this a friendly reminder to renew your membership of SWE. No additional fees are required if you are a collegiate to career member, but you must renew your information in SWE's system in order to be at full member standing, and enjoy all of the perks of being a member. (Click the join button in the top right). Q: Can I still attend events if I am not a member? A: Yes, you are welcome to join all events! Becoming a national member is optional, and you are welcome at any meeting or event, however you must be a paying member to enjoy the perks of scholarships, conferences, and various other benefits. Q: What types of membership options do I have? A: There are three types of membership options available: Collegiate to Career, Collegiate, and Joint memberships. C2C (Collegiate to Career): For a one-time $50 payment, collegiate members can secure a SWE membership for their collegiate years through the first year they qualify for professional grade membership. C2C is beneficial to students with two or more years of schooling left or those pursuing an advanced degree. Renewal is required each year, at no charge, to confirm continued SWE Membership. Take advantage of this program to maximize your savings on membership dues. For more information, please read the Frequently Asked Questions. 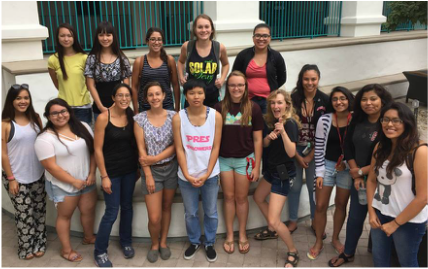 Collegiate: SWE Membership is available for $20 to college students majoring in engineering and must be renewed annually to obtain membership benefits. Q: Can I still join SWE if I am male? A: Yes! SWE is open to everyone! Feel free to come out to our events.